Some clouds this morning will give way to generally sunny skies for the afternoon. Warmer. High 74F. Winds NW at 5 to 10 mph..
As Rome flips the calendar from December 2018 into the New Year, business leaders are able to reflect on the completion of a long-awaited hotel project and look forward to completion of another decade-old mixed-use project downtown. A new hotel and mixed-use residential retail project are just two of many big business stories in Rome for 2018. Rome Downtown Development Director Amanda Carter said the completion and opening of the new Courtyard by Marriott on West Third Street should make a lasting impact on activity downtown and enhance prospects for conference activity at the Forum River Center. Carter also said that once the new Lofts at Third & Broad are completed, not only will the physical appearance of the downtown business district change, but the addition of more than two dozen residential units and six new businesses should further enhance the vitality of downtown Rome. The ever changing downtown scene resulted in a gain of 14 new businesses with 70 new jobs. Jay Shell sold his interest in the Brewhouse to devote all of his attention to the Rome City Brewing Co. as he moved back into 333 Broad St., and has greatly expanded production and distribution of RCBC craft beers with his business partner Trent Prault. Hull Property Group, the owner of Mount Berry Mall, also pitched a new Tax Allocation District around the mall, some nine parcels, to the City Commission and is awaiting formal action from the city and county on its request for a 15-year, $1.1 million TAD financing plan to reinvigorate the mall. The plan is to take down the Sears end of the mall and open space for upward of four outparcels at the north end of the mall property. Ownership and staff at the Courtyard were honored with the Downtown Development Authority’s Golden Nail Award in December. Early on in 2018, much of Rome was included in a federal Opportunity Zone designation. Parcels on either side of Maple Avenue in East Rome, virtually the entire downtown district, parcels on either side of Martha Berry Boulevard up to John Davenport Drive, and tracts on the north side of Shorter Avenue out just past Division Street are all eligible for the program which allows investors to defer federal taxes by investing money generated by capital gains in new ventures within the designated zone. The year ended on a somewhat controversial note as a joint task force of city and county leaders recommended that Rome and Floyd County change their industrial recruitment model and put the job into the hands of an entity and individual whose sole purpose would be industrial recruitment. That decision came just weeks after longtime Rome Floyd Chamber President Al Hodge announced plans to retire in April after 20 years of leading the effort to bring jobs to the community. The executive board of the Chamber bought into the change, followed by the Floyd County Commission, and then the full board of the Chamber, however the Rome City Commission still has not completely endorsed the change with a formal vote. Rome City Manager Sammy Rich said, “The general consensus and direction that I received was to keep working with the county along the lines of a model that does not necessitate a net new development authority.” The implication is that city commissioners appear to favor use of the existing Rome-Floyd County Development Authority to lead the effort. The RFCDA is a constitutionally created body which has the authority to approve tax-abatement packages for new or expanding industry. Its membership includes the County Commission chair, the mayor of Rome, the chairman of the Chamber Board and members who are chosen at large. While 2018 was not a huge year for attracting new companies to Rome, Balta and Carlsen Precision did open new operations during the first quarter of the year. Balta is a Belgian textile firm which took over the old Florida Tile facility in Shannon, while Carlsen is a Canadian-based firm which opened a plant in the Floyd County Industrial Park off U.S. 27 south. The RFCDA approved an inducement resolution earlier this month for another major upgrade — up to $150 million — at International Paper in Coosa. The deal will help retain a minimum of 500 jobs at the plant. Southeastern Mills agreed to purchase acreage at the Floyd County Industrial Park, with an option on additional acreage for a new warehouse and distribution facility. SEM also revealed a deal to sell off its customized coating and seasonings business division to Kerry, an Irish company which has a bakery in Calhoun, and has been in a major-acquisition mode for the last couple of years. Ken Wright, director of business and industry services at the Rome Floyd Chamber, said 2018 was a banner year for a number of area manufacturers, many of whom added jobs over the course of the year, but did not make a big splash. David Newby at Profile said his company, which extrudes and shapes aluminum for a variety of purposes, set a record for shipments for the third straight year in 2018. Newby said the owners of Profile are at least talking about an expansion and said that would mean an investment of anywhere from $8 million to $10 million at minimum. He said one problem, a good problem to have, is that the company could not afford to shut down production of its oldest press to install a new one and still meet demand. Redmond Regional Medical Center has partnered with SmartCare Medical Group to open a new urgent care center on Shorter Avenue at Division Street. They are in the process of building another urgent care center on Turner McCall Boulevard for the East Rome community. Redmond also partnered with Air Methods to base a helicopter transport service in Rome with a new helipad right in front of the emergency room. Floyd Medical Center expanded into neighboring Cherokee County, Alabama, taking over operations of the Cherokee Medical Center hospital in Centre. FMC also took over the ambulance-service operation in Cherokee County and added new primary care centers in Piedmont and Centre. FMC also added a new congestive heart failure unit to the hospital in Rome. Rome also got a new 24-hour emergency veterinary clinic on John Maddox Drive in West Rome this fall. 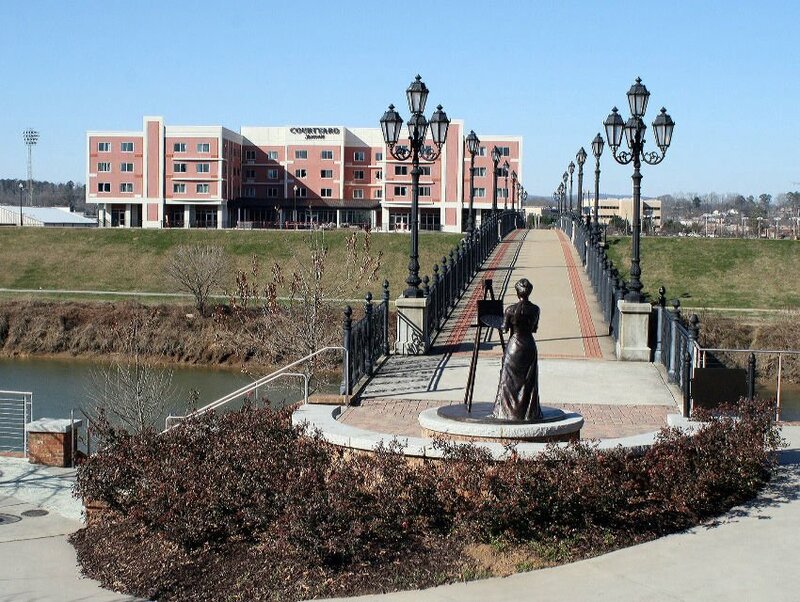 The housing sector also contributed mightily to Rome and Floyd County business in 2018. Berry College broke ground early in the fall for its ambitious continuing care retirement community, The Spires. The 170-unit complex is slated to start coming online in 2020. Building permits were just issued earlier this month for the first four or five buildings at the complex which will overlook Eagle Lake, the former Florida Rock Quarry. The Development Authority of Floyd County approved a bond package for up to $135 million for the project. That will translate into a lot of construction jobs on the site over the course of the next 12-18 months. The RiverPoint Apartments, a high-end, 124-unit complex off Braves Boulevard near State Mutual Stadium, opened in the spring and filled up quickly. Agribusiness was also prominent in the news across Rome and Floyd County in 2018. The Lyons Bridge Farm, an operation outside Cave Spring led by Brian Moore and Wes Walraven, really took off, and before the year was over, the company purchased the Riverside Gourmet business and storefront on Broad Street. Nick McMichen, a Cherokee County, Alabama-based farmer planted a 250-acre peanut crop out in the Morton Bend community of western Floyd County, the largest commercial peanut planting in Georgia. Billy Newby made the news with his Newby Farm and Vineyard operation off Billy Pyle Road in West Rome. 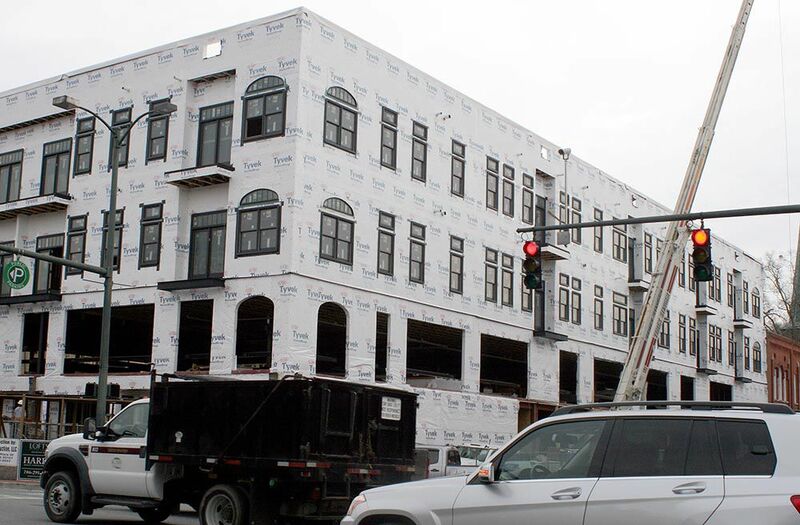 In addition to the completion of the condominiums and retail space at the Lofts at Third & Broad, Rome businessman Ira Levy could start construction of another addition to the Hawthorn Suites in 2019. The plans call for a new building parallel to the Oostanaula River between the existing hotel and the Third Avenue parking deck. Plans have already been approved by the Rome Historic Preservation Commission. The new Lumina Coffee House at the corner of the Veterans Memorial Highway and Braves Boulevard is slated to open sometime early in the new year. City and county officials are hoping it’s the first of many openings in 2019.